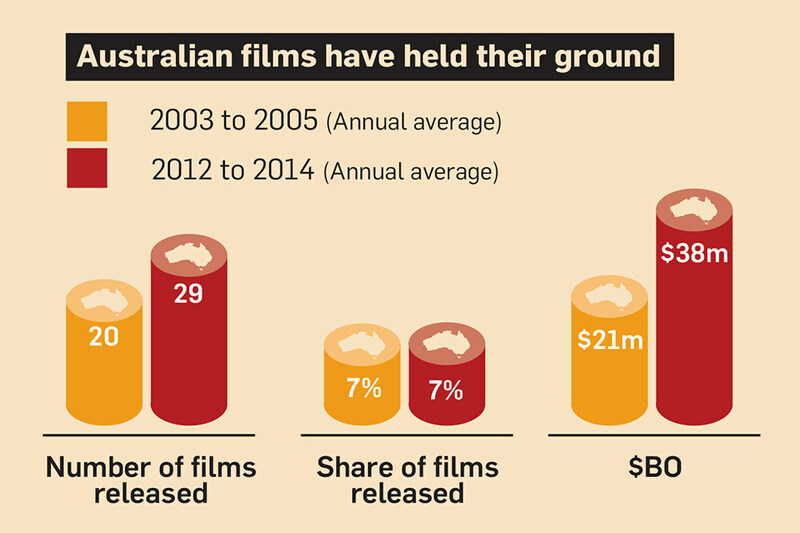 TV statistics in this section are compiled by Screen Australia from the Australian Bureau of Statistics, Australian Communications and Media Authority (ACMA), OzTAM, and the websites of subscription TV operators. The free-to-air TV ratings statistics on Screen Australia’s website were compiled since 2001 using data supplied by OzTAM. Due to changes in Screen Australia’s methodology, all previously compiled TV ratings statistics for years up to and including 2009 have been archived (see In the archive). Statistics now feature data from 2008 onwards based on our new approach. Screen Australia’s focus is on the performance of individual episodes throughout the calendar year (1 January – 31 December). However, top performing Australian drama and documentaries will also be measured across their series average for each year. Repeat screenings are indicated when known and relevant. Statistics are based on metropolitan viewers in five cities (Sydney, Melbourne, Adelaide, Brisbane and Perth), across total individuals (including guests). On 27 December 2009, OzTAM commenced measurement of time-shift viewing. Listed below are definitions for a number of TV ratings terms. See the OzTAM website for more information. ‘Average audience’ is calculated by dividing the sum of the number of people watching a specific program, series or time band each minute by the event’s total number of minutes. ‘Series average’ refers to the average audience for a program across multiple episodes. ‘TARP (Target Audience Rating Point)’ refers to the average number of people who were watching a specific program or time band expressed as a percentage of the potential viewing audience for that demographic. This potential audience, known as a ‘Universe Estimate’ is estimated by OzTAM based on data from its establishment survey and the Australian Bureau of Statistics. ‘SHR (Share)’ refers to the viewers of a particular program or time band as a percentage of total TV viewing for the same time period across all stations including Subscription, Spill-in and Community TV. ‘ATV (Average Time Viewed)’ refers to the number of minutes each individual has seen of the program or time band based on the Universe Estimate of the target, even if they haven’t watched any of the program, i.e. it also includes nil viewing. ‘Consolidated’ refers to the total viewings of television broadcast content. It includes both those watched live at the time of broadcast and those recorded and played back within seven days of the live broadcast. ‘Live’ refers to the viewing of television broadcast content at the actual time of broadcast. ‘As Live’ refers to the viewing of recorded television broadcast content within the same research day as broadcast (i.e. 2am to 2am) but at a different time to the original, live broadcast time. ‘Time Shift’ refers to the viewing of recorded television broadcast content up to seven days after the live broadcast time. ‘Playback’ refers to the viewing of recorded television within seven days of the live broadcast time but not live at the time of broadcast (i.e. As-live + Time-shift viewings).